Snap | Officina In s.r.l. 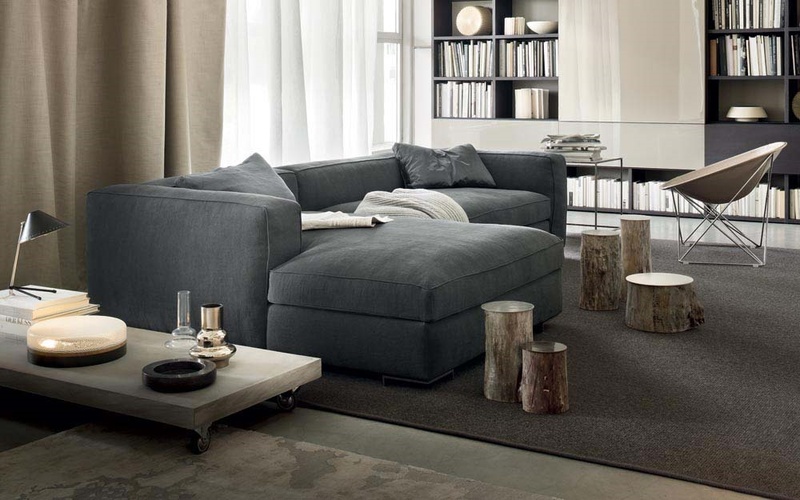 Designed by Francesco Rota, Snap is a floor unit upholstered sofa, for strongly customized solutions, to be used in linear or corner composition, with a chaise lounge, a pouf, seats, terminal and central units as well. The model stands out for its essential lines, its rigorous shapes, the geometrical matching, the unique elegance and ultra-modern proportions, making it the elective choice for comfort thanks to the back panel designed as a cushion, with an extra-feather upholstery. The structure can be raised from the floor thanks to a space or it can be leaning on four chromed or burnished metal L-shaped feet,, as wide as the arm: a detail making the unit design far more precious, a metal detail standing out with a contrast shade between the base unit and the floor.